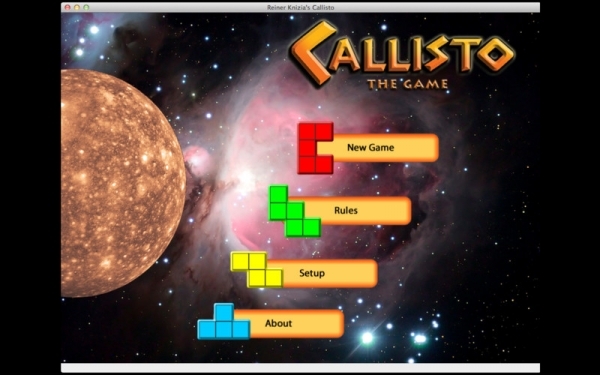 Callisto is a seriously satisfying and undeniably simple game to learn but it's a game that uses strategic skills and a little luck to master. 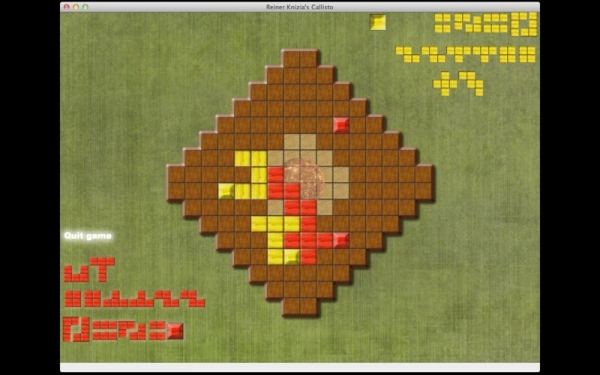 The object of the game is to be the player who successfully places the most tiles on the board; tiles must always be placed next to another tile of the same color. 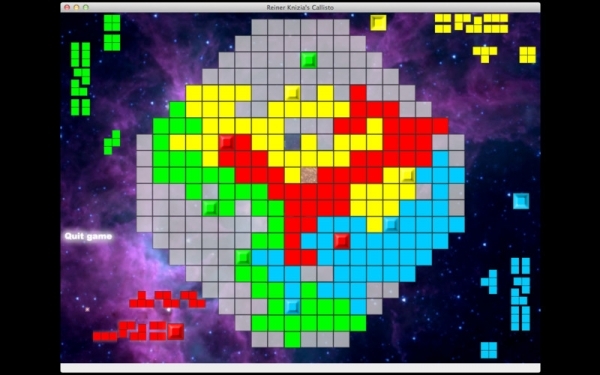 While placing your tiles you not only want to cover the most ground so you gain points, but you'll want to block the others from doing so too! 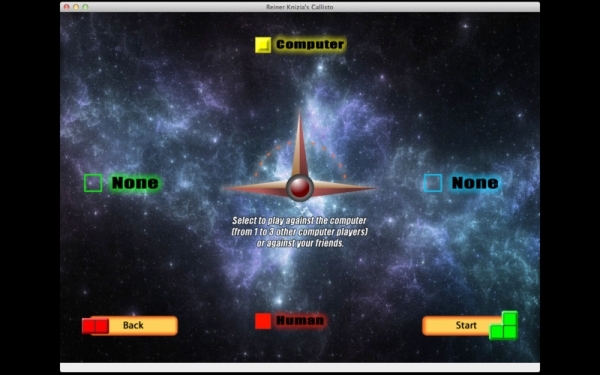 The game was designed by the world's most accomplished game inventor, Reiner Knizia.